Edit objects and effects more efficiently using enhanced previews, nodes, and handles that don't get lost in the background colors of your design. Get the power and stability you need with full support for Microsoft Windows 10 and discover how its innovative features can augment your graphic design software experience, plus enjoy existing support for Windows 8.1, and 7. Expand your design program's compatibility options with the latest file formats, including AI, PSD, PDF, JPG, PNG, SVG, DWG, DXF, EPS, TIFF, DOCX, PPT and more. With the revamped Knife tool in CorelDRAW, split any object or group of objects − vector, text and bitmaps – along straight, freehand or Bézier lines. Create a gap between the new objects resulting from the splitting action or overlap them. Choose an outline option, or let the application automatically select the option that best preserves the outline appearance. Whether you're a first-time user or an experienced designer, CorelDRAW Graphics Suite 2017 makes it easy to get started. Learn the basics, see what's new with a Startup tour, or transition to the suite with a special tour designed just for Adobe users. Be productive immediately with a workspace that matches your workflow needs, and benefit from high-quality content and versatile in-product learning. Corel® Website Creator™ makes website design easy for everyone. Now, you can add high impact video and audio, embed online apps like Google Maps, and keep track of your site’s success with built in SEO tools. With templates and SiteStyles, support for CSS3 and HTML5 capabilities, you can quickly design, build, and maintain interactive and eye-catching websites without learning how to code. Whether you're a seasoned graphic professional or an aspiring designer, you may want to learn a new trick. We're here to help with our growing library of dynamic learning materials, including video tutorials, webinars and insights from the experts. 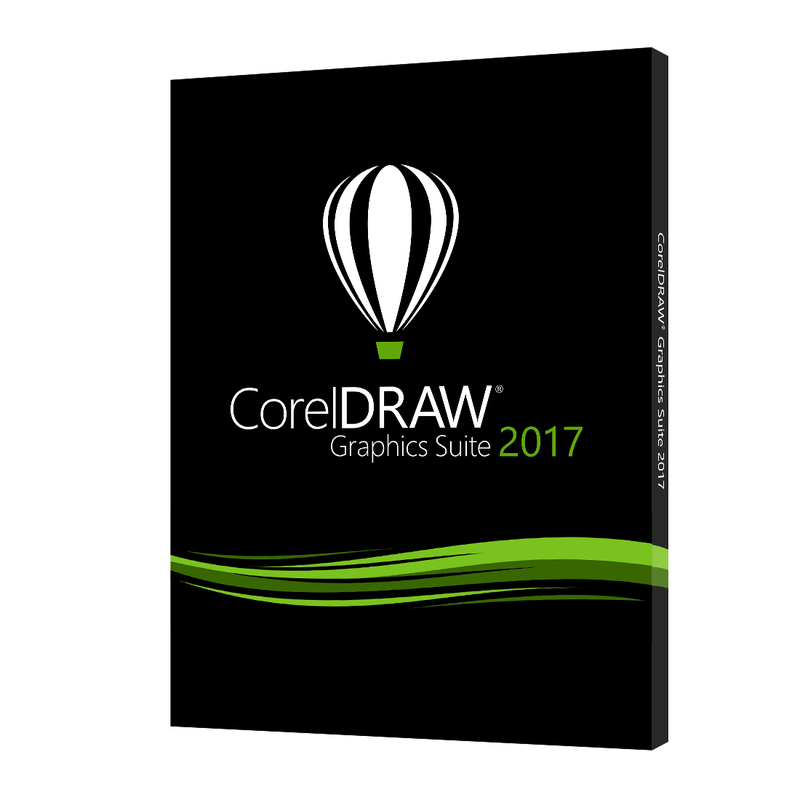 Plus, our CorelDRAW Hints offer training videos and tips from right within the application. Explore special effects, including four new pressure-sensitive Liquid tools—Smear, Attract, Repel and Twirl—and new camera effects—Bokeh blur, Colorize, Sepia toning and Time Machine—to create unique images in Corel® PHOTO-PAINT™ 2017. RAW file support for over 300 types of cameras gives you even more ways to enrich your images. Create and add unique QR codes as a mobile marketing tool on your designs. Add text, images and colors to your codes to make them standout, or blend in—the options are endless! Built-in validation ensures your QR code is fully functional and can be read on major smartphones and scanning apps.